If you look at my past reviews, there’s generally one trend: they’re slower games. Even the smaller, “travel” games, with short play times, provide a relaxed, strategic experience. Thus, I surprised myself when I picked up a game that said it was “fast-paced” and “five minutes” was in the title. All I had were visions of those “slap” card games from grade school, but I decided to give it a shot. 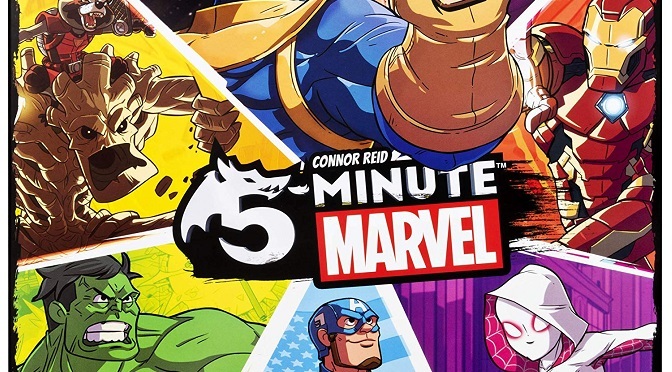 Thus, I ended up enjoying Connor Reid’s 5-Minute Marvel, a cooperative game where you must finish each session (or stage) in precisely five minutes. I’ll admit, anything with Marvel on it draws my eyes these days, from the difficulty of Thanos Rising to the party fun of Hail Hydra. Games based on popular franchises, especially comics, will always be favored. 5-Minute Marvel doesn’t disappoint, even if it’s aimed a younger audience than those other games. While there’s far less complicated strategy or social deduction, sometimes throwing cards down and shouting at your partner(s) is just as enjoyable. Each person plays one of ten different heroes as they attempt to defeat a Boss. To reach the boss, however, they must beat a variety of enemies, from lowly Minions to difficult Masterminds. Sounds simple, right? Well, when you’re trying to match symbols, draw cards, and coordinate with your friends while a 5-minute timer is counting down, the game becomes much harder. A game begins with choosing a Hero to play, which can range from the invincible Iron Man to the unbeatable Squirrel Girl. Players than equally divide the generic Resource cards between them while also having a second (much smaller) Hero deck; it’s from these piles a player draws their hand and plays cards to defeat enemies. Each Hero has a specific play style, represented by a Hero ability as well as their Hero deck. Spider-Gwen can help her friends out while Hulk can one-shot enemies but then becomes Bruce Banner. Players then choose a Boss to fight, each of which has its own difficulty represented in both the symbols required to beat it as well as the number of enemies you must defeat first. The game suggests starting at the easiest (Green Goblin) and playing multiple times until you reach the toughest (Thanos). Depending on which Boss you chose, you create a Mission deck which contains various enemies, from simple A.I.M. agents to the devious Mandarin. You’ll also seed the deck with Crisis cards, depending on the number of players, which throw obstacles in your way. To reach the Boss, players turn over Door cards and play their cards matching the symbols on each enemy; alternately some Hero abilities or cards may allow you to defeat certain enemies automatically. If you succeed, discard the enemy (and all used cards) and then open the next Door. Crisis cards are rarer, but they can hurt when you come across one. They might cause you to discard all your Hero cards in your hand or require twice as many Resource cards to defeat the next enemy. Players must continuously keep opening Doors and playing cards to defeat enemies if they want to beat the 5-minute timer. You can draw up to your hand maximum at any time and take from either your Resource or your Hero deck; the latter has more powerful cards but is far more limited, and there is no reshuffling. 5-Minute Marvel is chaotic, with a lot of cards thrown down, shouting, and very little time to think. The box is not kidding when it says “fast-paced,” as the time limit pushes you to play as fast as you can. That pressure doesn’t mean there’s no strategy, however, as you must consider your Hero’s ability and deck, which may help in various ways. Each has their strengths toward defeating certain types of enemies or helping your friends, so knowing what to do (and when) is essential as well. I will say that our initial playing group suffered, as we’re all middle-aged adults without the reflexes or quick-thinking of younger gamers. By the end of several sessions, some of us were sweating, and I’m sure our blood pressure was up. My children, however, had a blast playing; yelling and throwing things seems to be a favorite pastime for them. There’s some educational side to this game, too, as it worked as an excellent “matching exercise” for my youngest! No game is perfect, and I do have two (and a half) critiques, starting with hero selection and the timer. I want to be clear that I’m not disappointed in the heroes they provided. 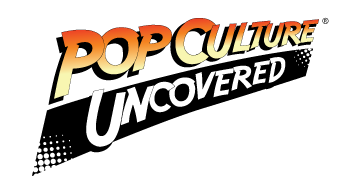 I absolutely loved that they didn’t just stick to the most-known (i.e., MCU) stuff, but also included characters like Medusa and Ms. Marvel. My hope, however, is we receive expansions with more than the 10 Hero mats provided. So many favorites were left out (*hint* Doctor Strange *hint*), and I’d love to see how new Heroes (with more abilities and decks) change the game. Even more importantly, I was sorely disappointed there was no timer included in the box; if a game’s mechanics are entirely dependent on a specific time limit, then it should have all components necessary, including a way to measure the time. I realize they provided access to a free app, but not everyone has a smartphone, and at the price we pay for games we shouldn’t have to “bring our own”. My “half-complaint” is just that I love the artwork and taglines on the enemies, which are often hilarious. Unfortunately, the game is so fast-paced, you only get to appreciate them when you’re not playing! 5-Minute Marvel proved not only to live up to its name but also to be surprisingly enjoyable. It has decent difficulty (especially when you’re not as quick in mind or body like you used to be) and still requires some strategy. This game is indeed as “fast-paced” as they see it is and the smooth gameplay; given this is from the same creator of 5-Minute Dungeon, the good design is understandable. I only wish they’d provide an actual timer for those without smartphones, and that there were even more hero choices. Still, this is the perfect game to play with the family or friends, especially if you’re short on time. 5-Minute Marvel is on shelves now. 2-5 players, 5 minutes, Ages 8+. I give 5-Minute Marvel a fast and furious 4 henchmen out of 5.